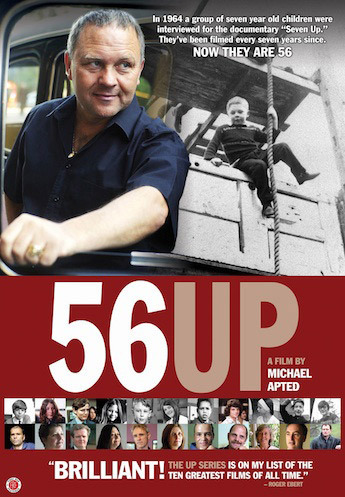 Apted’s astonishing cinematic experiment, checking in with a disparate group of 14 British individuals every seven years, enters its eighth installment and like its subjects remains fascinating even as it settles into a more even keel and acceptance of life. There are still plenty of ups and downs, but we’ve passed the stage of young adult angst and mid-life crises, and entered a stage where one’s children’s problems become more a concern than one’s own. It’s an odd observation considering the entire series is structured upon reflection, of at once looking forward and backward, but this chapter feels more introspective and contemplative than any of its predecessors. 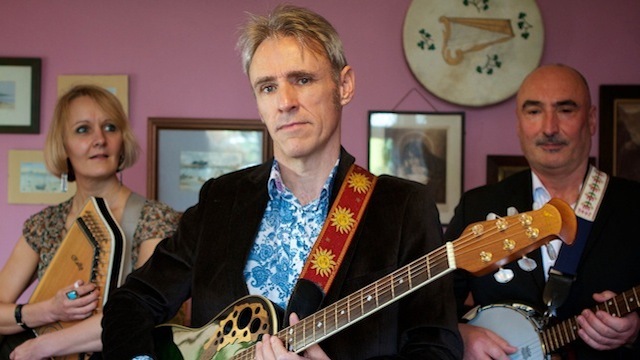 Still, it’s exciting to see Peter Davies, who bowed out of his involvement after 28 Up, back on screen and entering a new chapter in life as a member of a new folk rock trio, The Good Intentions. This is coming to my town in a couple weeks, so I've been boning up on the previous entries. As it stands, I only have 49 Up left to see and I'll be fully up to speed. The astonishing thing about watching the participants grow up over the course of a week is how emotionally attached I've become to people who were until quite recently complete strangers to me. I'll even confess to tearing up as each entry draws to a close. Without fail, the moment Apted returns to the footage of the lot of them at age seven running around without a care in the world, it really gets to me. We went through pretty much the entire series over 2007-08. We spaced it out a bit between installments so there was a bit of "oh yeah" remembered. What's interesting is that unlike the previous films, Neil is not the heart and soul of this one. He's kinda irascible here, which I liked seeing considering what a wounded bird he was for a while.